Germany is a stable economy with an excellent infrastructure. Its real estate market has shown a tremendous upside, since the financial crisis 2005. There is and has been a massive change in investment opportunities, caused through the housing bubble in the US and its mortgage backed security crisis. This development led to an investment overflow in German concrete gold. Multifamily and commercial real estate investments are now considered as stable incoming and yield producing real estate assets. The better the tenant and location the pricier those assets get and the lower the cap-rates are. Investing in some parts in Germany is nowadays more considered as maintenance of its capital than as an investment and yield producing opportunity, most of the prfessionals would agree upon. With support through a real estate agent Germany chances are still given to make a good deal. Making a decision to invest in residential, commercial, or retail real estate space is not an easy decision. A good decision often has lifelong positive benefit, while regrets could be huge and are surely irreversible! This is where the perfect Real estate agent for Germany comes in place. The German real agent can provide a wide range of choices which would meet your individual investment needs. The real estate agent in Germany knows the region and the market and where and how to get the best real estate offers within the region. Whether you are looking for office buildings in the best location, upper class houses for your family’s new home, a flat or an apartment for rent, or the right retail space that would make your commercial center and investment profil need. A good real estate agent in Germany puts forth the widest range of choices for you, showing their advantages, drawbacks and qualities for you to consider and choose from. It depends on your asset profile and one´s regional know how and specifications on how much of a profit can be made. 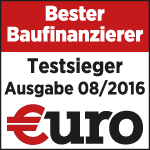 The quality of the real estate agent Germany depends on serveral different aspects. One can still earn money on real estate in Germany, but the cap-rate levels have decreased tremendously and reached new lows. The CAP-rates are still tending to the downside. In most cases it is helpful to have a real estate broker in Germany along, who is willing to follow your instructions and focuses on your investment criterias and investment profil. In the now thriving German real estate market, there are different ways of getting the right offers. Offers are most a costly, not always of good quality and an attractive price ration. Foreign investors are considered as least informed and within the German real estate professionals as high paying investors. In order to be better informed and regionally represented one should look out for a leading real estate agent and real estate broker in Germany. There are several offering web platforms with a dedicated and informative help for customers in search of residential or commercial properties. Immobase is where you can find just what you are looking for in relation to real estate specifications, location, and price. The searching agent (Suchagent) will deliver matching offers on a daily basis. Are you interested in investing in commercial, retail or office buildings in Germany and properties in and around the larger cities? There is a new approach on how you get your hands on those kinds of assets easily and without any language barriers. For those who want to make a start in German real estate business or those who aspire to expand their property, Immobase is the best practice to make a first step within the German real estate market. It will be able to boost your real estate business with continuous success. In addition regional specific experience and combined offers, the technology for the searching service of our clients is taking into account several different options on how to find the matching offers and properties. The variety of people which use our platform in combination with your own proposal and request will bring offerors and searching parties together. Immobase matches your needs within the offers available. In the field of real estate searching business, we use an advanced selling, buying, and renting real estate match, so that it is no longer difficult for anyone – even you – to make ends meet within the German real estate. Immobase is user-friendly nature where procedures are clear, informative and simple. The platform acts as an searching real estate agent (Suchagent) with the purpose of a real estate broker. The team is always there to try to find matching offers for you and guarantee the best real estate service available. On the other hand, if you want to sell your property or put it for rent, you can attract buyers or tenants in the best place where most people go to. This is where you can put your advertisement and our highly-active and thriving community would not miss your ad. Suitable requests and offers will simply come to you – automatically and with no language barriers. Simply, place your request online and receive matching offers immediately. Immobase offers a demand-oriented real estate search; tell them your request and they will let you know what they can offer for your individual investment profile needs. What is the meaning for “Betongold”? What does ENEV stand for?